A modern home for a large family, this plan has a large open entertaining area downstairs, with 5 generous bedrooms on the upper level. You will enjoy sitting on the back porch and listening to the waterfall wall splash into the 44' long lap pool. 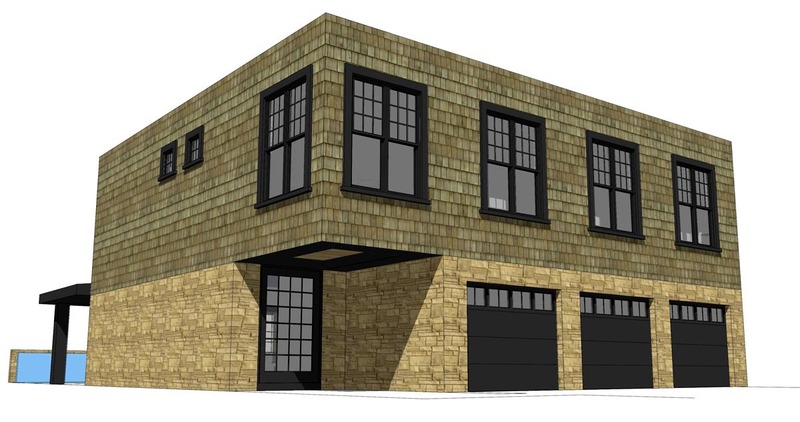 The 3 car garage provides plenty of space for bicycles, woodworking or storage. 10' flat ceilings throughout, 9' ceiling in dining. concrete slab on grade, 6" wood frame walls with spray foam insulation, wood roof trusses. 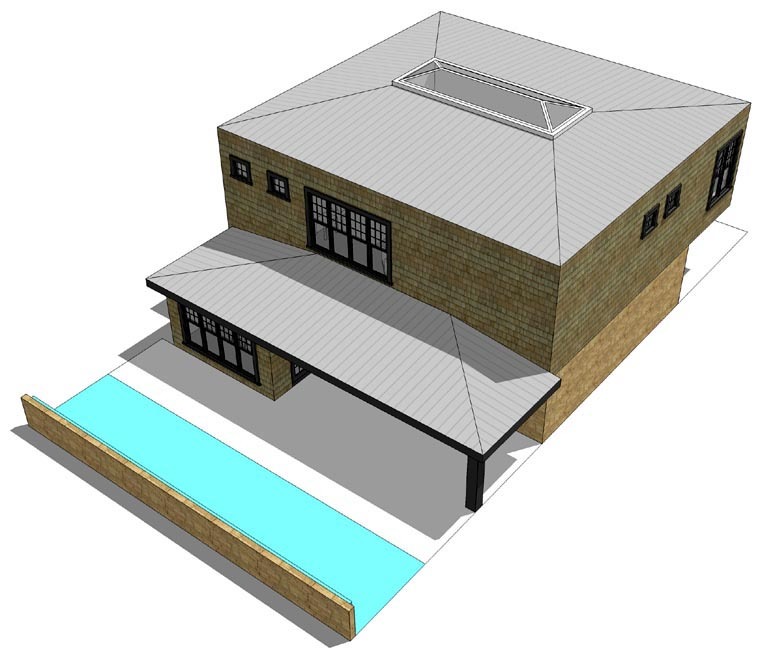 The roof is 2:12 pitch metal, and the exterior finish is cedar shakes and stacked stone.